The 1A1 Precision Wheel is primarily used for precision slot grinding in thickness over .050″, where a thickness tolerance of +0/-.0005″ is sufficient. The 1A1 Precision wheel is available in diameters of 4″, 5″, and 6″, with a 1/4″ diamond or CBN depth and an abrasive core. The Diamond or CBN section is flush with the abrasive core, or upon request, is available with a 1/4″ wide relief. The thickness of the 1A1 Precision Wheel ranges from .020″ to .250″, in increments of .001″ or fraction thereof. The use of a Diacut 1A1 Type support flange is required for stability and safety. The 1A1 flange is available from 3″ to 5 1/2″ diameters, in increments of 1/2″. 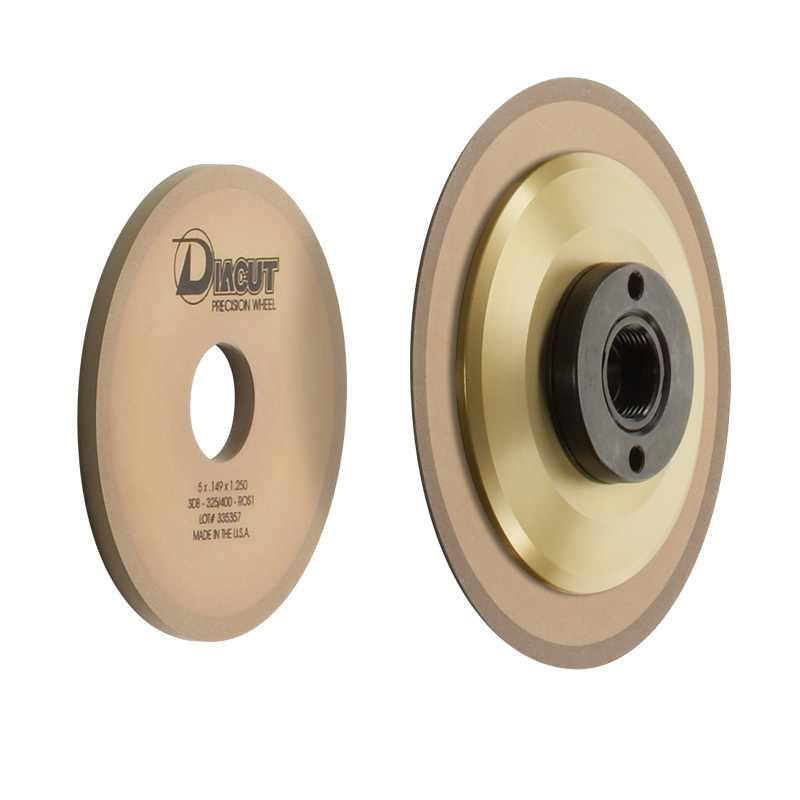 If a smaller hole size is required, the Diacut 1A1 Hole Reduction Flange is available.